Looking back... and loving it! After six years of giving Fish Mart our all as employees, we were provided with an opportunity to make it or break it on our own, as owners. The first Fish Mart we set up ourselves was in 1980, on State Street in New Haven. It was a basement, hole-in-the-wall operation. What fond memories we have of tearing asbestos off the pipes - to heat the place. Of course, we did it with bare hands and no masks. We were operational from a Quonset hut in Milford (Fish Mart's second location) during the set up of the State Street facility. We'd put in our 70 to 75 hours of "Regular Work", Sunday night through Friday noon, in Milford, and then go to State Street for rack construction, painting, building an office and packing tables and so on for the remainder of Friday, Saturday, and Sunday. When you're young and ignorant, you have endless energy (even with all the partying we used to do)! Glen had to do deliveries, I had to do filters, pack the walk-in customer orders, do some more water changes, and call customers! Three more days of this, then we'd be done for the week. Our jeans were always soaked to the knees from all the water on the floor. The goldfish/plant room, filter cleaning room, and bathroom were unheated, and the windows were kept open year 'round to keep the fish cool. We didn't mind in summer, but the water in the goldfish tanks got so cold in winter that the fish were actually in suspended animation! It wasn't much fun to handle that water, but maintenance was sure reduced! Ahhh, those were the days... State Street, for all its dinginess, was really the foundation for where we are now. Business increased yearly. We got the debt monkey off our back after five and a half years of relentless commitment, stressing quality, and constant improvement on how we got things done. 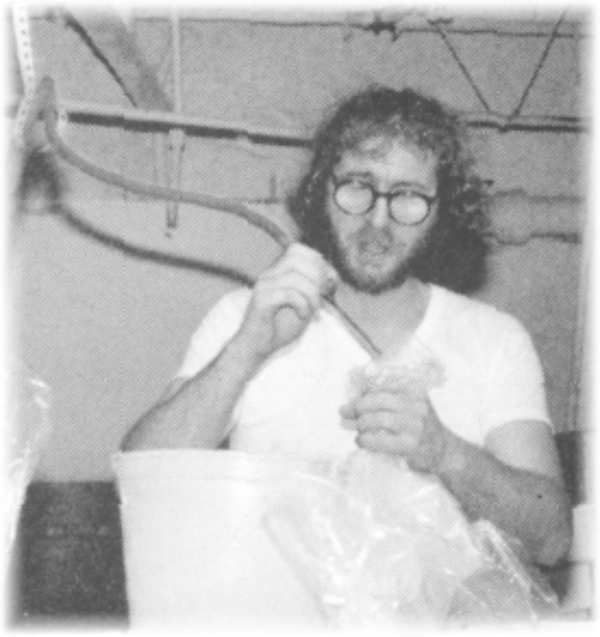 In 1986 we bought a 7200 square foot building, and built central systems for all our fish, an almost unheard-of concept at the time. Once again, we moved in one weekend, remaining fully operational through Friday at the old site, then becoming fully operational from the new one 48 hours later! This fourth -and present- Fish Mart location is directly across the railroad tracks from the first one. With the booming economy and our customer support, we needed to expand within two years! 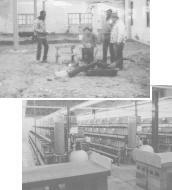 We were able to more than double the building's size, and make what was considered another revolutionary change for the livestock business: full computerization. By April 1989 our new fish room was up and running with 400 additional aquariums. 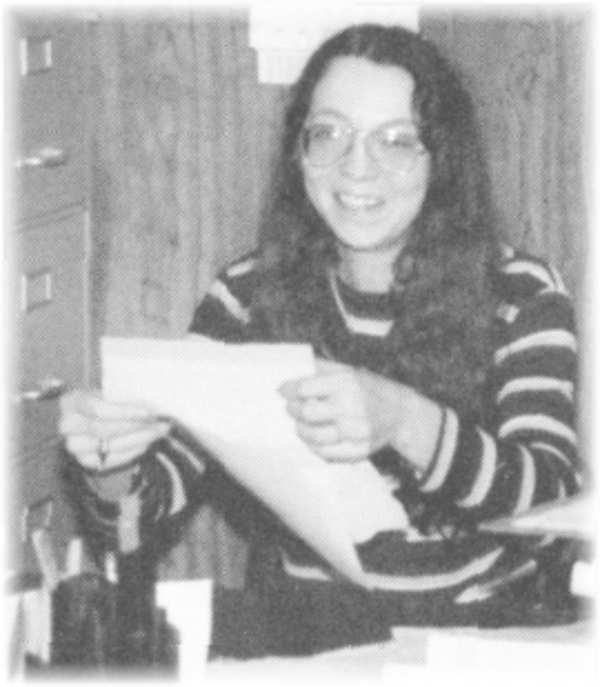 In October of 1989 we went "on line" to begin our new fiscal year fully computerized. THAT was a nightmare for the first couple of weeks, but now, of course, we couldn't live without it. IN 2003, we upgraded our warehouse with new and technologically superior aquatic life support systems. As a result, our holding capacity and fish quality are the best in the industry! Always care and quality conscious, we’re seeing dramatic improvements. We’ve done comparative analyses on all of the fish types we carry, - pre and post installation. The result is a statistically significant increase in the number of fish we keep healthy and happy. The other nemesis (here more than at retail pet stores, generally) – humidity – is resolved. Finally after many months of research and discussions, we’ve installed seven dehumidifiers strategically throughout the warehouse. This has reduced maintenance work in our facility, and provided us- and our walk-in customers- a more normal atmosphere and air quality. that is far more pleasant to work in. Today, "Regular Work" still means long hours, but now it's spent staying in touch with the times and helping our customers "grow" their business, while our excellent management team and staff handles daily operations. So that's our story... hope we haven't bored you with it. In fact, we want to thank you for the opportunity to walk down memory lane. 1. OPPORTUNITY: We were given the chance, in 1980 and subsequently helped by a prospering economy. 2. PERSEVERANCE: We were and ARE driven to "be the best". 3. EMPLOYEES: An assortment of personalities and characters have played varied roles over the years. We're NOT a "two-man" operation. 4. YOU: Meaning all of our customers! Our opportunities, motivations and staff are meaningless unless we have YOUR support. For that, we are eternally grateful... and with your continued support, we look forward to serving you for many more years.